Bacteria consume organic matter and other compounds and recycle them into substances that can be used by other organisms. Bacteria can live anywhere that has water. They are more numerous, can reproduce faster and can survive harsher conditions than any other organism on Earth. Their huge biomass, versatility and ability to recycle the chemical elements make them an important component of ecosystems. This is especially true in extreme environments, where bacteria carry out work normally done by a range of organisms. Chemoheterotrophic bacteria source the carbon and energy that they need to survive from organic matter. These bacteria are decomposers, digesting their food by releasing enzymes into the environment around them. The enzymes break down organic matter into simple compounds, such as glucose and amino acids, which can be absorbed by the bacteria. Because digestion takes place outside of the bacterial cell, it is known as extracellular digestion. Other bacteria, called chemoautotrophs, get their energy from inorganic chemicals and their carbon from carbon dioxide, or a related compound. Photoautotrophs obtain energy from light. These bacteria do not decompose organic matter but are important for nutrient cycling. Bacteria are a key component of the carbon and nitrogen cycles. Like plants, photoautotrophs and chemoautotrophs take carbon dioxide from the air and convert it into cellular carbon. This means that carbon becomes fixed, or sequestered, in bacteria. Chemoheterotrophs play an opposite role in the carbon cycle, releasing carbon dioxide into the environment when they decompose organic matter. Nitrogen-fixing bacteria, such as cyanobacteria, incorporate nitrogen from the environment into amino acids and other cellular material. Some nitrogen fixers form symbiotic relationships with plants, providing them with nitrogen and receiving carbon in return. Chemoheterotrophs play a vital role in the nitrogen cycle because extracellular digestion of organic matter releases soluble nitrogen into the environment, where it can be taken up by plants and nitrogen-fixing bacteria. Microbes are better equipped to break down tough plant matter than other types of decomposers. Bacteria form colonies, known as biofilms, with other bacterial species, fungi and algae. Living in a biofilm provides protection and allows sharing of nutrients and genetic material. Biofilms start the decomposition process in many ecosystems. In streams and lakes, many freshwater invertebrates cannot use leaves until they have been “conditioned” by biofilm. 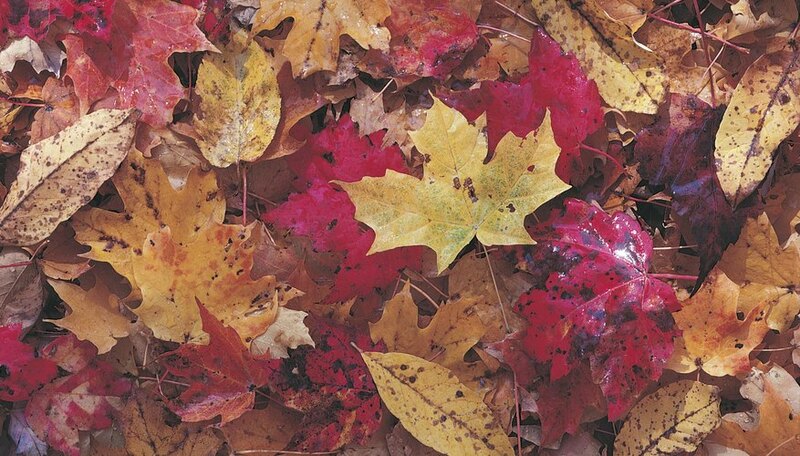 Microbial conditioning softens leaves by breaking down complex chemical compounds, such as lignin and cellulose. This makes leaves easier for invertebrates to digest. Biofilms provide the same type of service in terrestrial ecosystems. Most organisms require oxygen to survive, but oxygen is not always available in the environment. Environments that lack oxygen are known as anaerobic. Environments that can be anaerobic include the ocean floor, the leaf litter layer on forest floors and soil. Anaerobic environments can be caused when oxygen cannot move through material, for example in densely packed soil, or when microbes consume oxygen faster than it can be replaced. Luckily, decomposition and nutrient cycling are able to continue in the absence of oxygen. Many microbes are able to swap oxygen for other substances, such as nitrate and sulfate ions. Some groups like the methanogens, which produce methane, cannot tolerate oxygen at all. University of Montana: What Are The Advantages Of Living In A Biofilm? Campbell, Kirsten. "How Are Bacteria a Part of Recycling & Biodegrading?" Sciencing, https://sciencing.com/bacteria-part-recycling-biodegrading-22630.html. 25 April 2017.